The large area of tissue that forms the back of the ear is called the Conch. 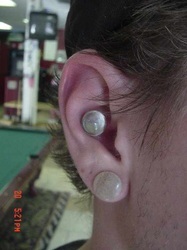 The conch is the cartilage shell of the ear, with an inner and outer conch. 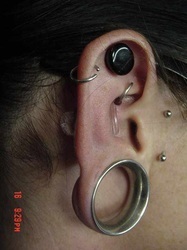 The conch is a common site for ear piercings and may be dermal punched at larger gages.